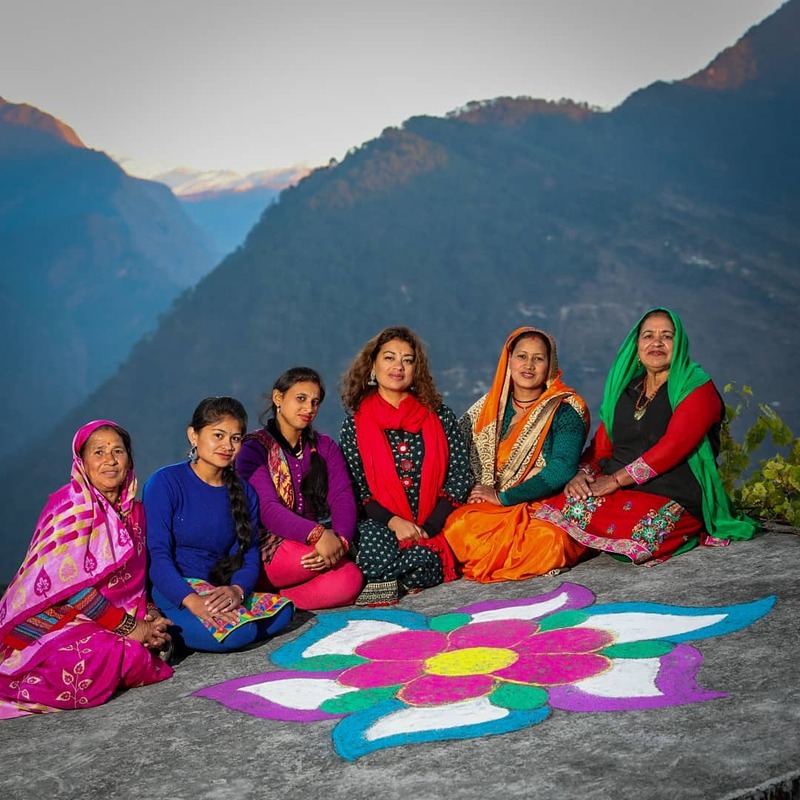 At the feet of the Himalayas responsible tourism company Fernweh Fair Travel has introduced income-generating programs into remote village communities in India’s northern region of Gopeshwar, Uttarakhand. 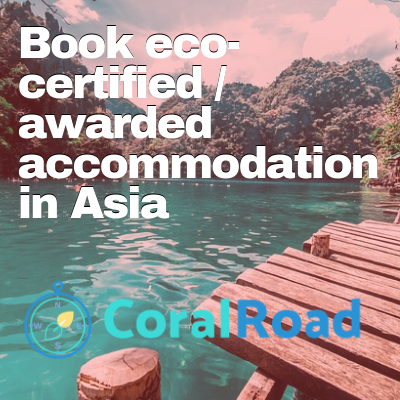 Through the implementation of programs such as a women’s empowerment homestay and a village handicrafts program, the organisation is using sustainable tourism to touch the lives of many people in the region. 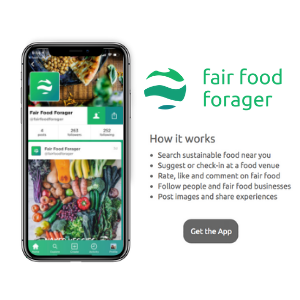 “Our main goal is to transcend social and cultural barriers through exchange, education and empowerment that is supported by sustainable tourism initiatives.” – Poonam Rawat-Hahne, Fernweh Founder. In 2005, Poonam opened a women’s shelter in Gopeshwar for underprivileged women, including widows and victims of domestic violence. She soon realised that providing shelter was not enough to truly make a lasting impact on their livelihoods and that of their families. 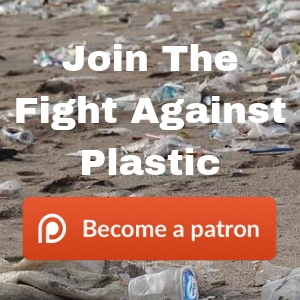 Through consultations with the women and surrounding tribes and communities, Poonam decided to combine both her passion for travelling and passion for social good to create Fernweh Fair Travel, a travel experience that utilises the values of sustainable tourism to create positive change. 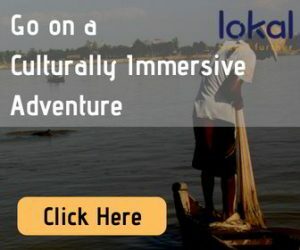 The tours take participants into villages in the distant hills of Gopeshwar and through regions of the far north, where nature becomes abundant and humans are no longer the dominant species. 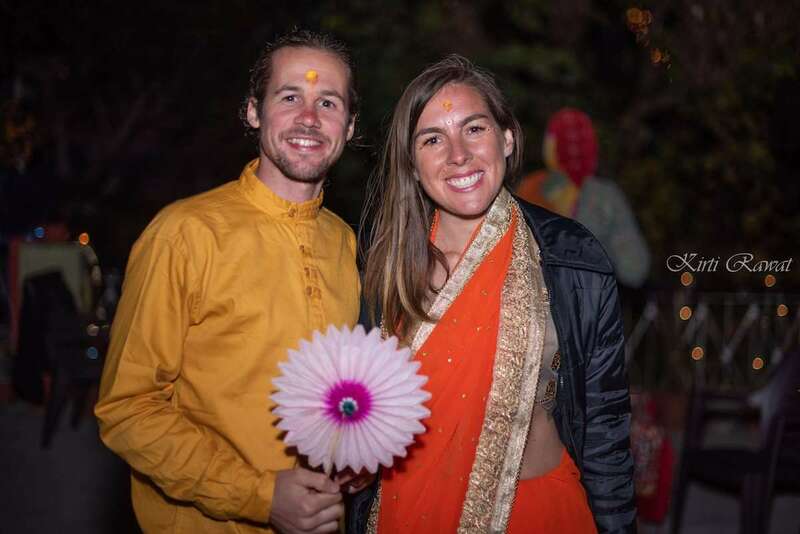 The week-long immersion program encompasses versatility as guests embrace their adventurous side, their culinary side and their spiritual side, exploring India’s off-the-beaten-path locations and impacting local communities. 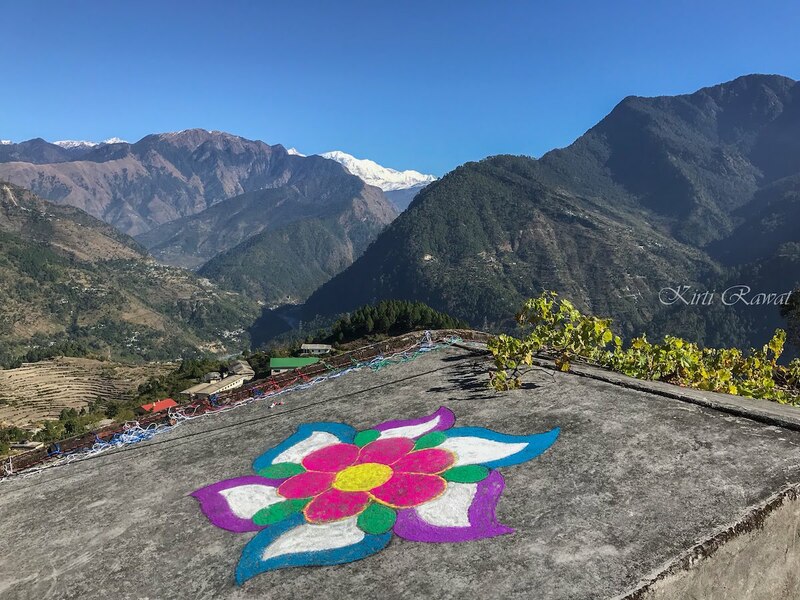 I had the privilege of joining the November tour – Celebrating Diwali in a Quaint Himalayan Village and below I write about some of the experiences we encountered on tour. Peaches & Pears Himalayan Homestay is a social enterprise that provides employment opportunity to widows and victims of domestic violence. The homestay provides sustainable income to 6 women with the aim to grow further opportunities in the future. 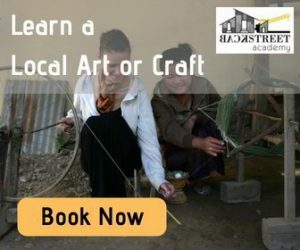 The homestay has recently been recognised for their efforts in women’s development and made the India Responsible Tourism Award’s shortlist for Best Homestay in India. 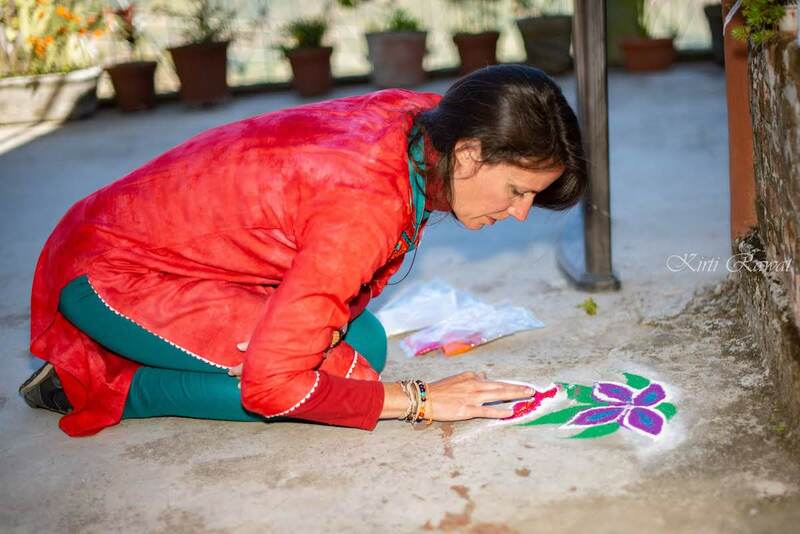 The homestay was a beautiful sanctuary away from the chaotic stereotypes that encompass India. We were far in the north, almost close to the border of Nepal. It was a different feeling out there, and especially at the family-run home. Each day we would eat the most hearty meals made using ingredients from the homestay’s garden. In my whole life, I had never eaten such hearty food for a consecutive amount of time – and the food was mostly vegetarian! The rooms were cozy and the blankets were warm, as we were there in November and the evenings got quite chilly. The homestay was our base and it truly felt like home. 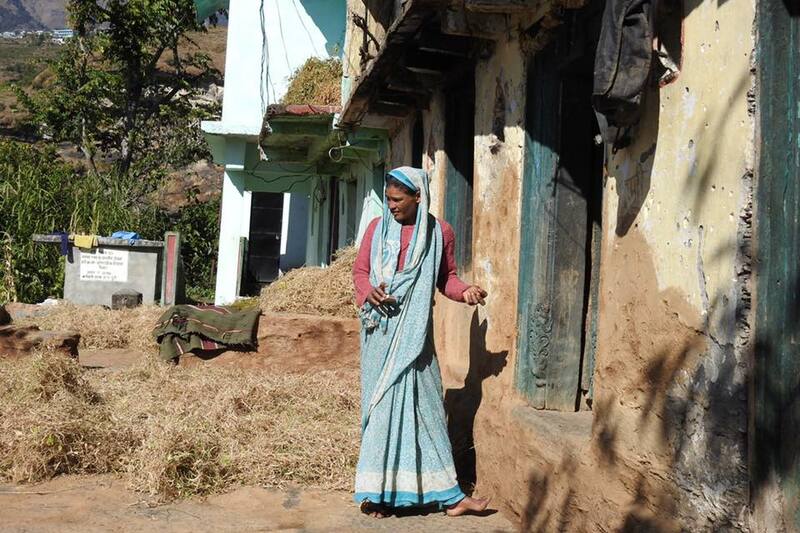 Part of our tour took us into a village in the distant hills of Gopeshwar. Situated high above the main road, this village lies hidden from view not by coincidence but by a social stigma that sees a divide between communities dependant upon caste. We visited the ‘untouchables’, India’s lowest caste system segregated by a country following archaic beliefs about societal status. 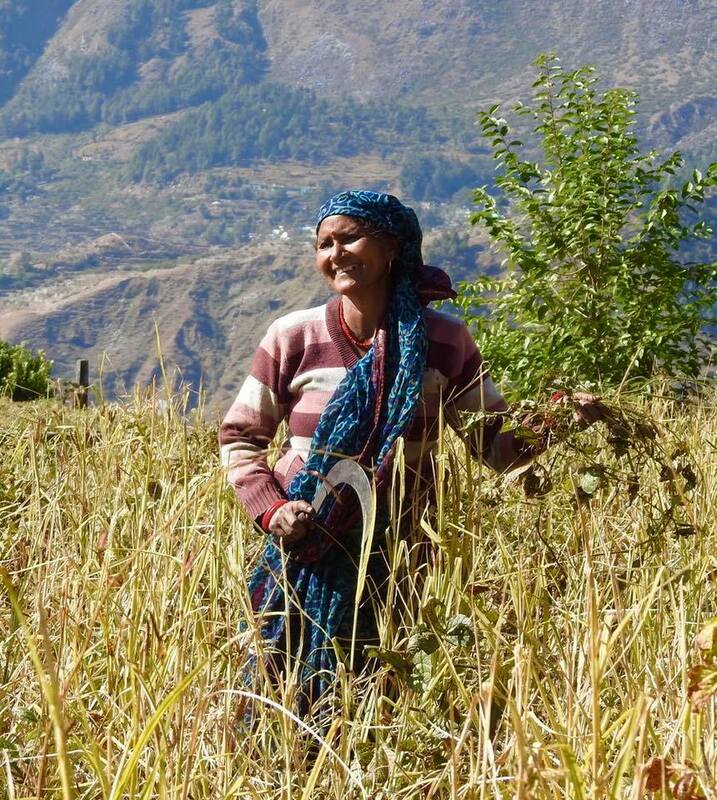 We trekked through the villages and encountered some of the friendly locals going about their daily activities. As our eyes met it prompted a friendly smile and a “Namaste”, and we lifted our hands into prayer (the common greeting acknowledgment in India). They were as curious about us as we about them, and while there was a language barrier much could be said with a simple smile. Children peeked out of their homes and over rooftops, they followed us cheekily laughing. Two women carrying hand-woven baskets holding produce yielded in the fields walked by, a man followed closely behind leading his cattle up the narrow pathway. The ambience could almost be mistaken for a different era, all our senses were heightened as we experienced a glimpse of the past. During the afternoon we participated in basket weaving. 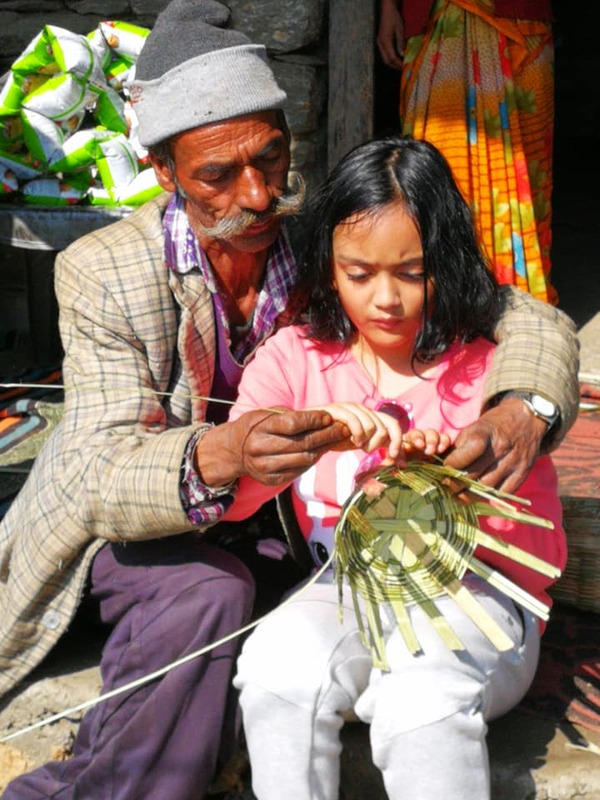 The villagers make these beautiful handicrafts using bamboo, which they collect from the forests. It is one of the few forms of income they can gain, aside from agriculture, so Poonam brings guests here to learn and purchase the baskets from them. She is also opening up a shop in the homestay as an avenue to sell the products. The exchange between us and them is beautiful, as we drink chai and smile at each other, learning about each other’s lives and opening our own views of the world. We wake to views of the snow-capped Himalayas in the distance, breakfast waiting for us in the common area of the bright and beautiful Peaches & Pears Homestay. Our first stop is a local school. Fernweh has been supporting rural schools in the region and we were invited to watch one of the dance recitals. 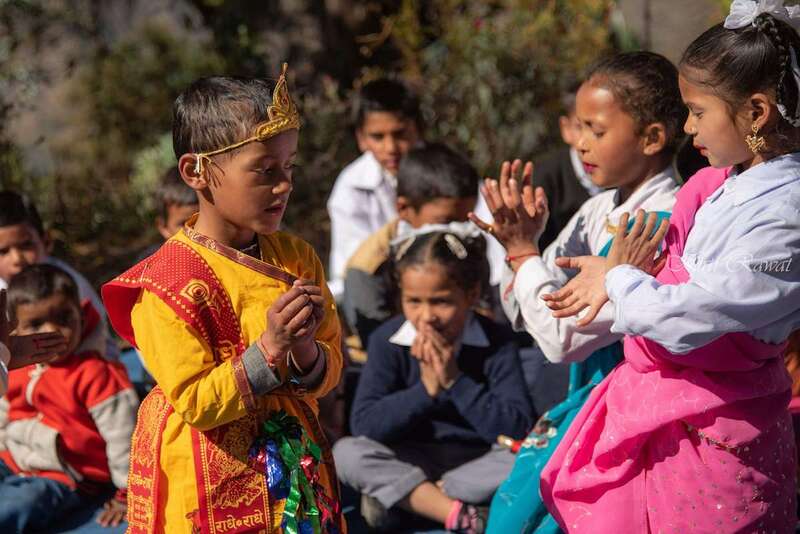 Before we arrived, Poonam advised us that we could bring small gifts for the children so we stopped off in the markets the night before to purchase school supplies. 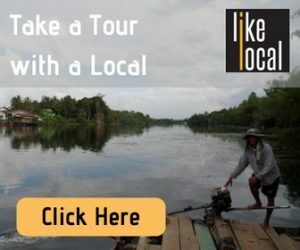 Buying products in the local market is also a way to generate income in the local economy. We are welcomed into the school with a song and gifted traditional leis around our necks. Of course, chai and biscuits are also on the menu – a hospitable treat for any guests. The school consists of 2 main classrooms, for 6 grades. Meaning 3 grades and 2 teachers per class. 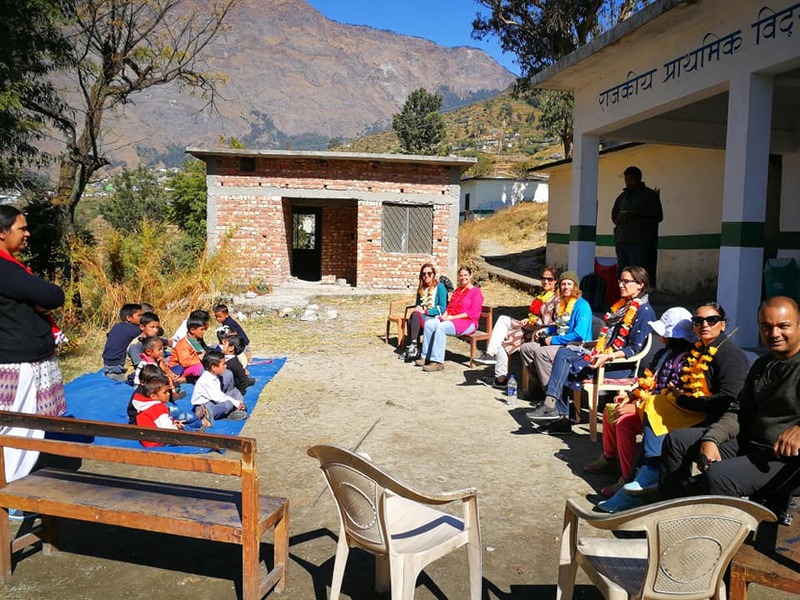 While this is not the most ideal circumstance for the teachers, over 30 students from surrounding villages are able to gain access to a government-funded education here. The funds from Fernweh provide assistance with school supplies and food. The recital is about to start and 4 young children dressed in colourful costume brace the stage in the schoolyard. One child in the background is manning the bongo drum. Before long the rhythm starts to play as the children start their dance to music. They laugh and sing and we join in with claps and applauded. The teachers sit proudly watching their classes perform. After the performance, we gift the children some souvenirs from our home countries as well as pencils and book supplies that will greatly help them throughout the school term. The whole Fernweh itinerary is carefully programmed to accommodate the inclusion of women and their families. One of the many highlights of the tour is the chance to lunch in a traditional Indian home, in a riverside village. The home we visit is that of Sarita, a widowed woman, and mother to 3 daughters. 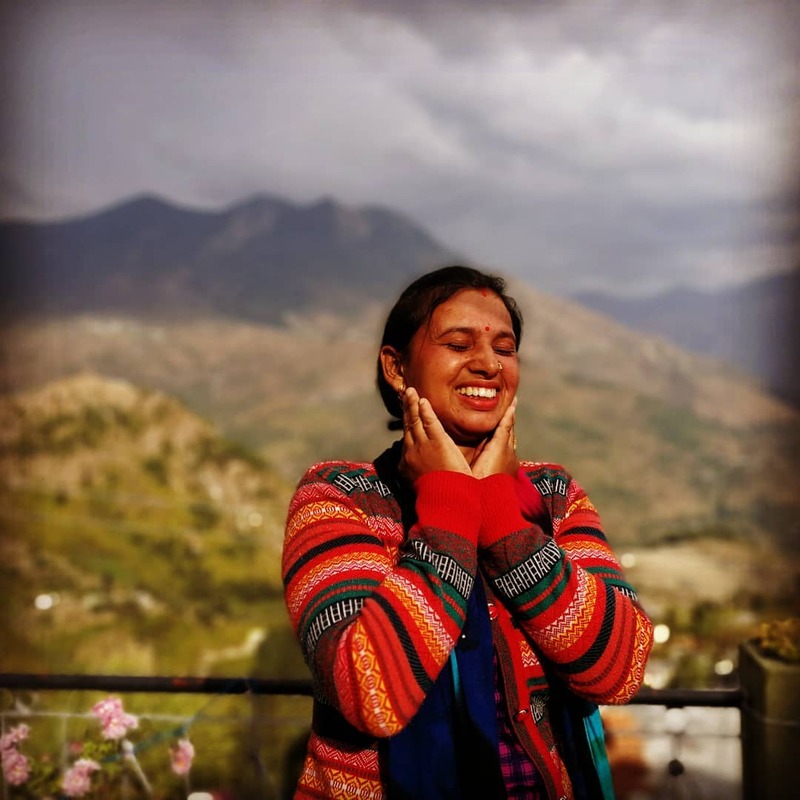 In rural Indian culture it is frowned upon for women to marry again after their husband passes away and so 3 years ago, after the passing of her spouse, Sarita arrived at the doors of the women’s shelter looking for desperate relief. At this time her 2 daughters were under the age of 3 and she was expecting her third child. The shelter provided temporary support but Poonam knew that Sarita’s life moving forward was going to be confronted with hardship. Knowing she wanted to do more for this women Poonam decided to include Sarita’s home as a stop for guests to experience the local flavours of this region in an authentic home. “One of the main objectives of Fernweh Fair Travel is to provide livelihood to women by training them as travel guides and in other fields of our travel programs. 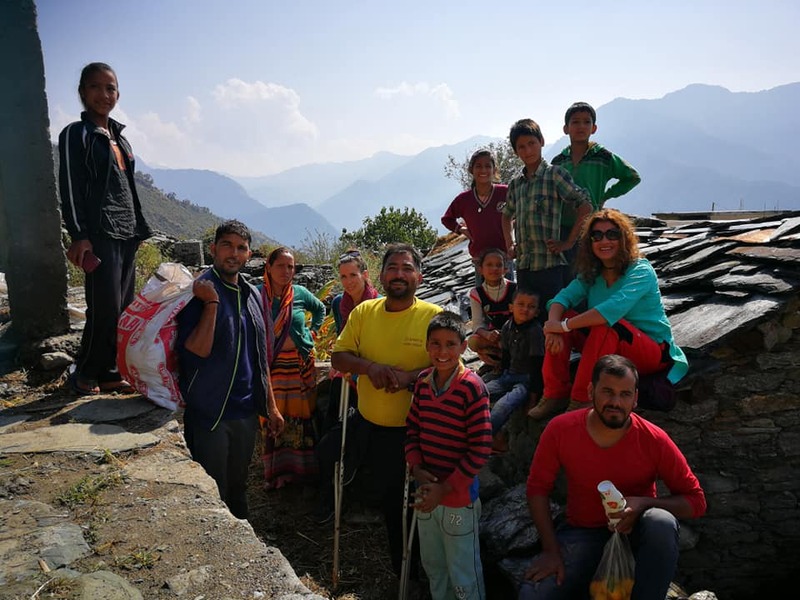 The authentic home lunch allows them to earn an income without them having to leave their homes or their families.” – Poonam Rawat-Hahne, Fernweh Founder. Lunch in Sarita’s home was just one of the many local meals that graced our taste buds on tour. 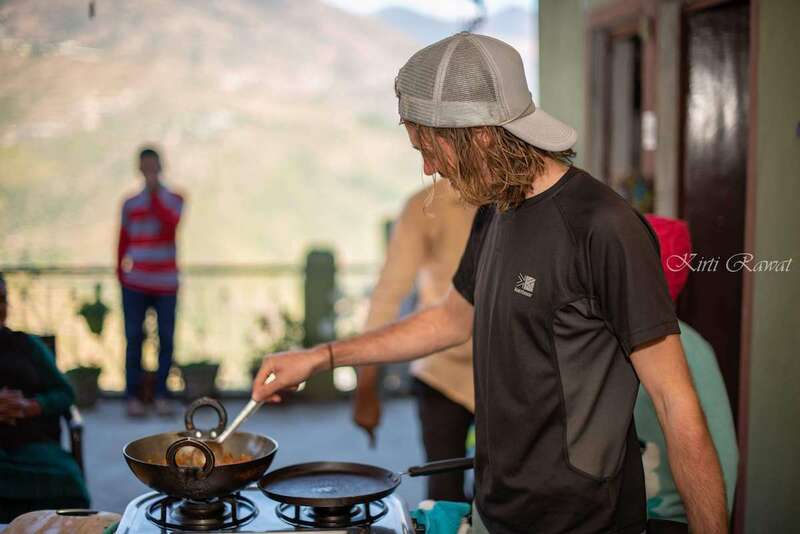 The culinary experience of the tour is definitely a highlight as we are fed wholesome meals 3 or more times a day. 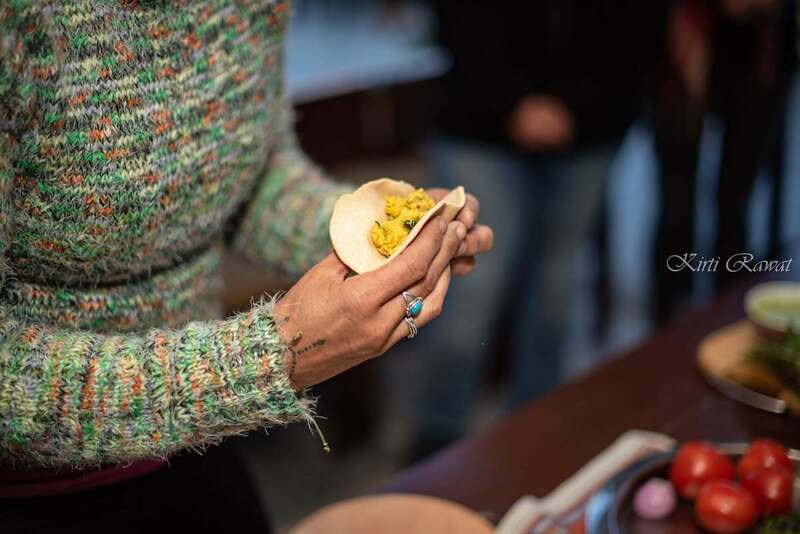 On day 6 we are also able to participate in our own cooking class to learn about the concoction of ingredients that go into creating this authentic far-northern Indian cuisine. Our tour fell right in the heart of one of India’s largest festivities, Diwali. Days 5 to 7 on the tour revolved around preparation for this magical festival of lights. We visited the local Gopeshwar markets a day prior to purchase some decorations. Colours lined the bustling streets as people hurried to get their supplies for the big day. When we arrived back to the homestay we participated in the decoration of the balcony and common area. It was our first time trying Rangoli, at artform created using coloured rice and a significant aspect of Diwali. By the time evening had come we had one of the most beautifully decorated houses in the village. The evening erupted into an explosion of celebration. 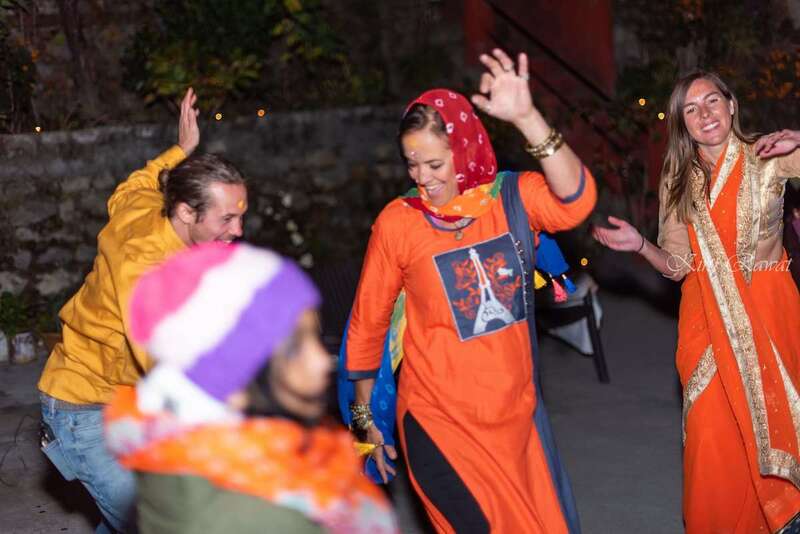 Our group put on their best attire, many of us had purchased traditional dress-wear and I even went as far as buying a beautiful laced sari. We danced around the fire, laughed with the locals. The women had let their hair down as this was one night where everyone was free from all worry and care. We set off fireworks and heard them echo through the quarries. It was truly an unforgettable night of celebration. 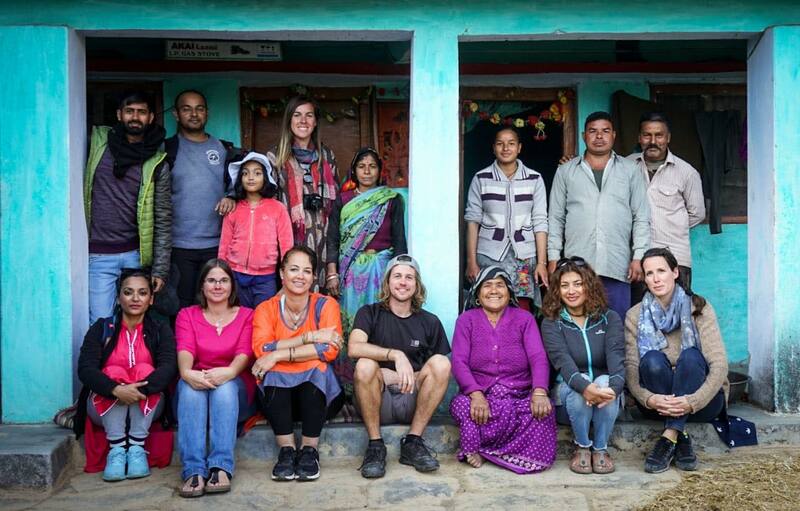 Through cross-cultural exchange and understanding, Fernweh Fair Travel is pioneering a sustainable tourism movement here in Gopeshwar that is inspiring all involved. Find out more about their upcoming tours on their website and Facebook page. This tour was provided by Fernweh Fair Travel in association with Impact Travel Alliance, and I was a guest at the Peaches & Pears Homestay.